There is a great deal of attention these days given to the presence and concentration of carbon dioxide (CO2) in the earth’s atmosphere. Rightly so, because CO2 contributes to the “greenhouse effect” of the atmosphere, which is what prevents the earth from becoming an ice ball. Too much CO2, however, might be a concern because the earth may become too warm for our liking. That, of course, is the essence of the global warming debate. 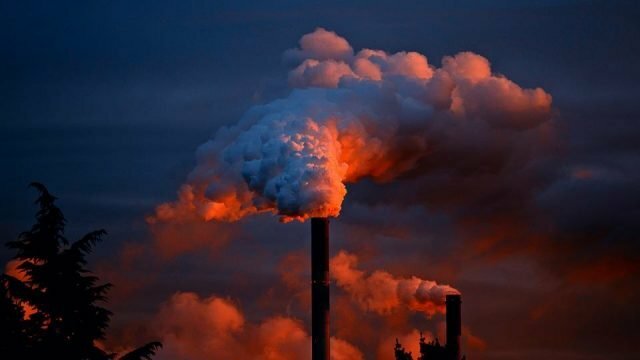 We have all seen television images of fat chimneys at coal-fired power stations emitting billowing white clouds and we have tut-tutted at such unconstrained greenhouse gas pollution. However, our irritation is misplaced. Those billowing clouds are not smoke from burning coal but simply condensed steam issuing from cooling towers. Even so, there is a delicious irony because the principal atmospheric greenhouse gas is actually water vapour, not CO2. The moisture dissolved in our atmosphere accounts for about 70% of its blanketing effect. This is easily demonstrated by considering the difference in overnight temperature between coastal and desert locations, which have the same CO2 concentrations in the air. On the coast, the air is moist and restricts the escape of daily warmth when the stars come out. In the desert, the air is dry and daytime warmth is radiated back into space relatively unimpeded. CO2 does contribute but to call it “carbon pollution” seems a bit harsh, given that this gas is essential to life on our planet. Without CO2 in the air there would be no photosynthesis and thus no plants; without plants, there would be no oxygen and thus no animals. We are all familiar with the decay of organic matter as a natural process that recycles nutrition into the soil, as well as releasing CO2 into the air. Rocks decay too. It takes much longer, but the prolonged exposure of rocks to the water and air that we encounter daily causes the minerals in those rocks to react chemically and change to compositions more stable in the oxidising environment of the earth’s surface. This is called weathering. Chemical reactions during weathering extract carbon dioxide from the environment, commonly forming carbonate minerals such as calcite (CaCO3). These minerals lock up CO2 for the long term. In due course, erosion by wind and water breaks down the weathered rock into particles that are washed into the sea and deposited on the sea floor as sediment. Some of this carbonate-bearing sediment reacts with the sea water, helping to keep it alkaline. Continuation of the process over geological timeframes buries the sediment and creates new sedimentary rock. As much as subduction zones (and the volcanoes, earthquakes and tsunamis they give rise to) are to be feared for their destructive potential, they are also a prime reason we are here at all. Extraction of CO2 from the atmosphere by weathering has been going on for billions of years and erosion has been occurring ever since land first stood above sea level. Why, therefore, is there any carbon dioxide at all left in the atmosphere? The answer is simple: volcanoes recycle carbon dioxide. Large amounts of CO2 issue daily from active volcanoes and geothermal fields around the world, including many that are unseen beneath the oceans, where perhaps 85% of the world’s active volcanoes reside. Along the Kermadec Trench (from New Zealand to Tonga) liquid carbon dioxide has been observed pouring in vast amounts from vents on the sea floor – the CO2 is liquid because of the great pressure at water depths of 10,000 metres. This deep ocean trench has been formed by the subduction of the Pacific Plate sea floor beneath the Indo-Australian Plate. At depths of around 100-200km, which is below the crust and well into the mantle, the sedimentary rocks of the down-rafted plate begin to melt, generating magmas containing dissolved CO2 and other gases. Those magmas periodically rise and reach the surface to erupt as lava and ash, or crystallise in the crust below the surface. In the first case, CO2 that was once locked up in the sediments is liberated directly as gas evolving, often explosively, from the exposed magma. In the second case, the gas escapes from the trapped magma into the overlying rocks and permeates to the surface, where it vents in geothermal fields like Rotorua or the Kermadec Trench. This process has been adding to atmospheric CO2 since the dawn of geological time. It has also been replenishing the CO2 extracted by weathering over the past 2.4 billion years. Thus, we can say that for as much as subduction zones (and the volcanoes, earthquakes and tsunamis they give rise to) are to be feared for their destructive potential, they are also a prime reason we are here at all. The harmony and balance of nature are not restricted to the animal and vegetable kingdoms.